﻿ Students feedback from family groups and other students. As we are leaving tomorrow,so here is our feedback regarding our training in Kunyu Mountain Martial Arts Academy. 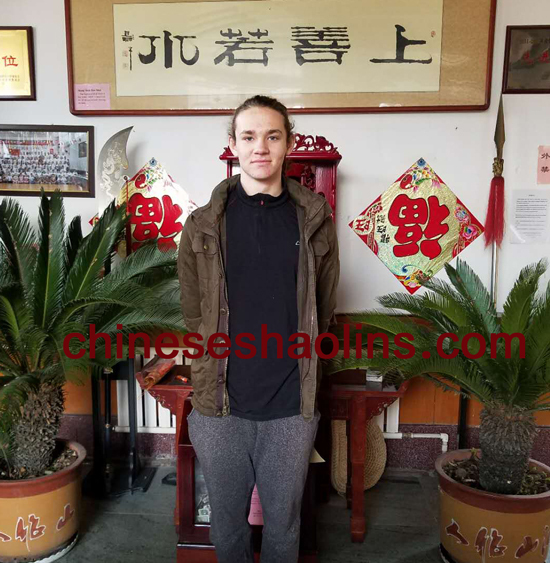 We choose China to study Kungfu because CHINA is the home of traditional Martial Art and it has the base of teaching and skills.To develop the physical strength and learn the fighting skills is always motivated us as it help to live a healthy, energetic and disciplined life. The greatest gain we got from Martial arts training that it develop the interest and passion in my son to learn and practice the fighting skills which will be very helpful for him during his grown up. The masters and the older students who have been here for long time who practice and learned so many skills really influenced us to be reach to that level in future.We have found that the entire staff and all the students from all groups helped and played with my son which definitely makes him miss the academy. I would specifically recognize NADIN, LOGAN, JEN and other Chinese girl living with Jen in room no. 208 (Sorry don't know her name) who helped my son to make him a part of the group.For my group : I would like to recognize YOHAN, JUSTIN and FEDRIC to help and teach me skills.Outer side of my group I would like to recognize JAY and NADIN as very helpful person in all kind of aspects. We have a very positive experience for learning and stay in the academy. Training schedule is very comfortable and aligned per training requirement which covers almost all kind of exercises in the week. The academy masters are great people and we have deep respect for them. 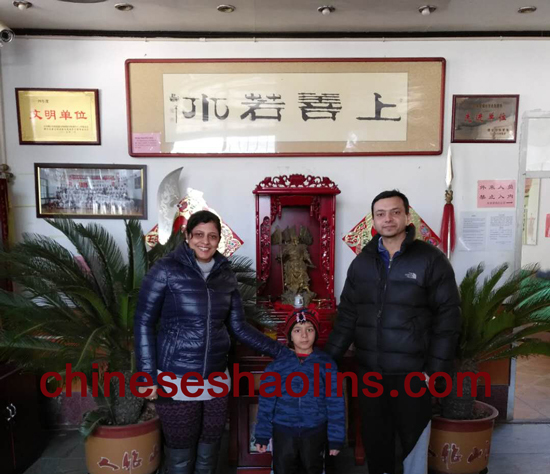 A special thanks to mine and my son Master to teach and refine our skills.Translators :We have found that all the academy translators are very helpful and knowledgeable, We have enjoyed a lots of communication with them. The academy is situated at a great location, surrounded by mountains,clean air, lakes - what else a person need. Overall we have enjoyed and learned a lots from the masters and other group students. We are thankful to everyone and will be definitely back in future to get my kids involved for Martial Arts skills. Four Month course from Aug 2017 to 2018. 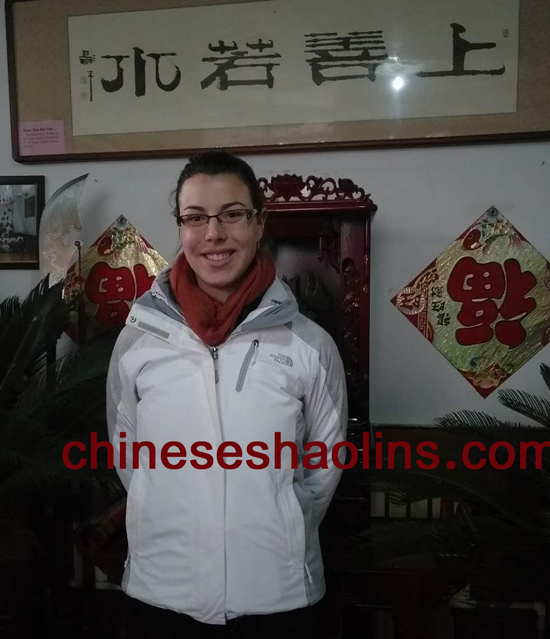 I chose China to study kung fu because I used to watch many old kung fu movies that came out of china in the 1970s. I really wanted to be like Bruce Lee. My greatest gain is being able to fight drunk people in the bar really well. I feel confident in my ability to defend myself while boxing and kicking potential attackers. I also really enjoyed Taoism class, as I felt that the class added a lot of knowledge about the history and practices of Taoism. Master Meng was very influential and helpful during my stay here. Some of the monitors were also helpful in guiding forms and stretching exercises. An overall summary of my experience is that my training was very demanding but enjoyable, daily life was easy, and my masters was wonderful and very knowledgable. I really liked all of the translators. The area around the academy is one of my favorite parts of China. It is very beautiful and scenic. Overall, pretty good. I am very happy with my stay. Thank you for everything. I came to China by chance. A series of events occurred that lead to me to find the school and everything kind of fell into place. I felt I lacked discipline, and coming kunyu mountain kungfu academy was my attempt to fix that. The training as well as my masters have made me a more disciplined person, but the greatest thing I found at Kunyushan are my friends. I have met so many amazing people from around the world, and the training itself acts like a crucible that strengthens our connections to each other. The master who was with me the most is Gao. He pushed me hard, but was still very understanding of my limits. He focuses on Chinese kick boxing more than I would like, but in the end that's what I would resort to for self defense. The food is great. My friends have said it get's repetitive, but I've been here six months, and I still like it. The mountains here are beautiful. I was luck enough to have a room that has a great view of the mountains. Yantai, the city nearby, it is a good location for restaurants and dancing. Muping, the smaller city in the yantai region, is great for getting commodities you need that you couldn't get from the nearby supermarket. All in all, it was a wonderful experience, but it's not for everybody.if you can show up to training, give it time, put in the energy, than you should have no problems and you can really see improvement.